MARINARESCO (by Silvano – Gay Fortuna by Fort Wood) winner of the Champions Cup Gr1 on 31 July 2016 by 1,25 lengths from Judicial, No Worries and Saratoga Dancer. Marinaresco was 2nd in the Vodacom Durban July Gr1 and 3rd in the Investec Cape Derby Gr1. It was the legendary Cape trainer Mike Bass’s last day before official retirement and he landed the race named in his honour. 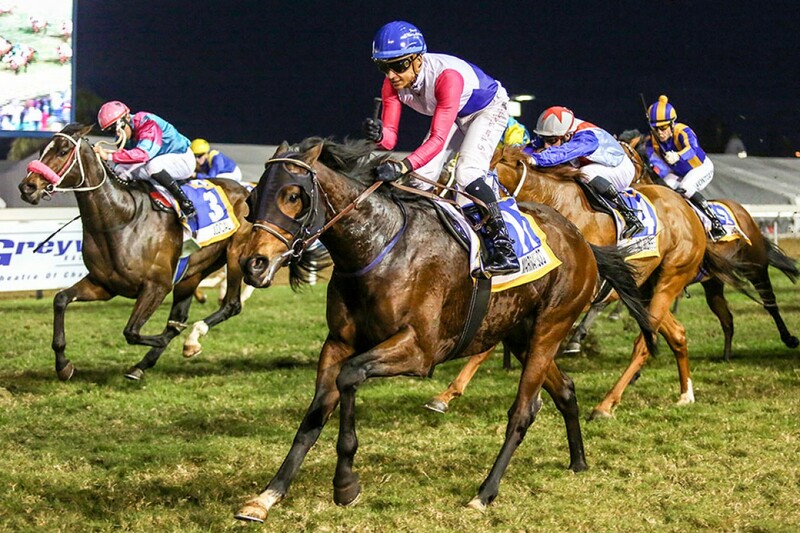 Jockey Grant van Niekerk called Marinaresco the next “Pocket Power”. The latter horse also raced in the famous blue, pink and white colours of Marsh Shirtliff.